Call or Email Us NOW for Your FREE Case Evaluation. When you have been harmed due to the negligence, wrongdoing, and improper conduct of others, justice entitles you to recover compensation for your injuries, medical treatment, and related expenses. To obtain full and fair compensation, you are best served with an attorney who knows the face behind every file and who will fight for justice. Insurance companies retain legal teams and well paid experts to defend their insureds’ misconduct in an attempt to minimize or eliminate their responsibility. Our firm handles meritorious claims for victims who have sustained real harm and loss due to genuine negligence of others. Many cases are resolved by Scott out of court, and many at trial before a jury when insurance companies refuse to provide proper compensation. Since 1991, Scott has represented victims and claims involving car, truck, bus and other vehicle accidents, other negligence – based personal injury incidents, as well as wrongful death claims. Scott Strauss grew up in New York and graduated Cornell University in 1988 with a Bachelor of Science Degree. 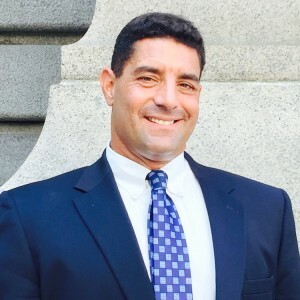 He graduated Benjamin N. Cardozo School of Law in 1991 and was admitted to the New York and Connecticut bars in 1991. In 2014 Scott became a graduate of the prestigious Gerry Spence Trial Lawyer College. Our Law Firm offers free case evaluations for all personal injury cases. Contact us now by completing the form below or calling us at (516) 228-8383. If you were referred by a Doctor or current client, please be sure to mention their name for reference. You can call or email us for a free case evaluation (516) 228-8383.